Mr. Murzyn is responsible for the origination, analysis, execution and monitoring of 54 Madison Capital investments. Prior to 54 Madison Capital, Mr. Murzyn worked at sbe Entertainment as the Director of Capital Markets. In this capacity, he worked with the Chairman, CEO and President on all aspects of capital markets and strategy including: New business development, debt and equity capital raising, portfolio valuation, strategic initiatives (M&A and JVs), principal investing activities and asset management. 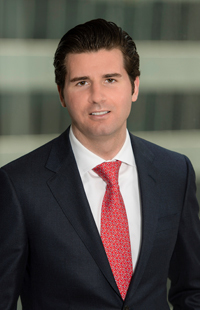 While at sbe, Mr. Murzyn was intimately involved in the execution of over $500mm of corporate and property-level M&A/capital markets transactions. Prior to sbe, Mr. Murzyn was with J.P. Morgan in the Real Estate and Lodging Investment Banking group where he executed M&A and capital markets engagements for a variety of REIT, Lodging and Casino Gaming clients. Mr. Murzyn is a member of the Kelley School of Business’ Investment Banking Network Advisory Council. He holds a Bachelor of Science in Finance from the Kelley School of Business at Indiana University.